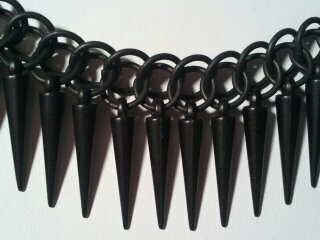 Black stainless steel choker with spikes. This choker is made out of stainless steel and is 16" long. This necklace is made out of stainless steel and is 17 1/2" long. 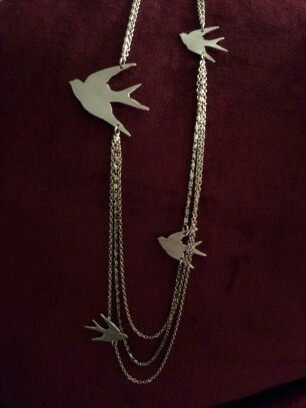 This necklace is made out of stainless steel and is 20 1/2" long. This necklace is made out of stainless steel and is 19 1/2" long. This choker is made out of stainless steel and contains malachite beads. It is 16" long. Birds are cut out of aluminum.